Will you manufacturers stop the megapixel war...PLEASE! 12MP camera snapper on its way? 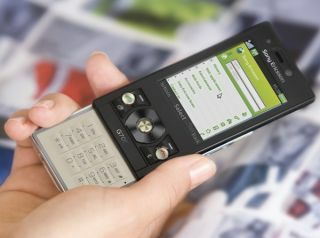 Sony Ericsson is rumoured to be working on the next evolution in the cameraphone market... a 12MP snapper, no less. Seemingly unable to stop playing with the Cyber-shot brand, SE is developing the phone, codenamed the Kotaku and apparently sporting a Tube-a-like touchscreen interface, according to Mobile Mentalism. It will also run the S60 interface, and Symbian OS version 9.4, so keeping true to its Open Symbian Foundation love all the way through. However, there will still be no 3.5mm headphone jack, or a mini-USB socket for easy connectivity... though we assume A2DP Bluetooth support will be packed in the chassis for wireless listening. Oh, and apparently the new handset will do away with the Memory Stick format developed by Sony, and pop a microSD card in there instead, which would be a big hit for the Sony format. It's still very much in the rumour mills as the moment, so there's obviously no picture, but when we find out more you'll know. Right here. Promise.